As the new Scaroon Manor day use site was re-launched today, it's time to reflect on what the old place looked like. 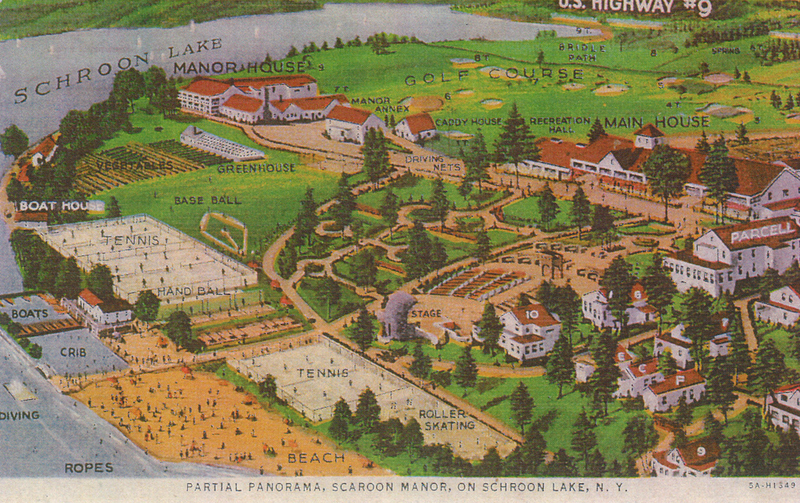 Hard to image that Scaroon once featured 100 buildings, housed 800 guests, attracted top notch entertainers, had its own golf course, marina, tennis court complex, basketball court with lights, roller skating ring and handball courts. All of it thriving until the 1960s, when resorts like this fell out of favor. Did you ever go to The Manor back in the day? Share your memories in comments.